In 1982, at the early crest of Meryl Streep’s reputation, the celebrated critic Pauline Kael, ever a maverick, wrote the following analysis: “Something about her puzzles me: after I’ve seen her in a movie, I can’t visualize her from the neck down. . . . Her movie heroines don’t seem to be full characters, and there are no incidental joys to be had from watching her. It could be that in her zeal to be an honest actress she allows nothing to escape her conception of a performance.” I remember reading Kael’s words back in 1982 and feeling puzzled and not a bit outraged. At the time, many were calling Streep, only four years into a significant film career, the world’s greatest living movie actress. She was about to win her second Oscar, and her ability to go deep and big seemed unprecedented. Since then, Streep has given performance after distinguished performance. She holds the record for most Academy Award nominations for acting (nineteen and counting; the runner-up, Katharine Hepburn, had a measly twelve). Streep’s very name has been synonymous with “Our Greatest Actress” for over thirty years now, an astonishingly long run at the top. No one can possibly dispute Streep’s tremendous gifts, her enormous range, her vocal and physical craft, her peerless skills at conveying complexity, intensity, humanity. What Kael referred to as her “conception of a performance” remains unmatched, but Streep’s role choices, and her movies, are increasingly dissatisfying, relative to her potential. Where once she worked at the center of serious Hollywood art, she now makes lighter fare, comfort food for an aging culturati. Where once she specialized in tragic heroines, she now mainly essays quirky “characters.” Something has changed: Hollywood, certainly, but also possibly Streep’s appetite for the kind of difficult, somber fare that made her name. Perhaps the zeal for honesty that Kael noted was too taxing to sustain. I still disagree strongly with Kael’s feeling that there are no “incidental joys” in Streep’s work. But the stepping away from serious movies that depict complex characters is clear. As a result, the amount of thought and effort that Streep puts into her performances now leaves them feeling oddly disembodied, like they are enormous conceptions that are not attached to a real person, which is perhaps what Kael meant. They are instead accumulations of brilliant ideas, accents, quirks, and insights that are inflating two-dimensional characters in utterly conventional films. Florence Foster Jenkins, Stephen Frears’s new movie about the real-life eccentric diva, is yet another quirk-filled showcase. Jenkins was a doyenne of the arts during the first half of the last century who also fancied herself an accomplished classical singer. Her strange story has recently made incursions into public consciousness: a 2005 Broadway play entitled Souvenir starred Judy Kaye, and, just this year, a French film, Marguerite, was loosely based on her life. In Frears’ telling, she lives in wealthy splendor with her common-law husband, St. Clair Bayfield (Hugh Grant), with whom she shares a loving if chaste relationship. Plump, dithery, self-centered, “Madame Florence” is a living manifestation of every such matron played by Margaret Dumont or Alice Brady in 1930s and ’40s films. She lives for art—music in particular—and is enabled in this regard by St. Clair, a one-time aspiring Shakespearean actor who had neither the talent nor the drive to make a career. He has become, instead, an enthusiastic supporter of Florence’s generous patronage as well as her occasional dabbling in musical performance. And as anyone who knows the history or has seen a trailer or heard anything about the film is aware, Florence is an absolutely terrible singer. When she opens her mouth, out comes a series of warped gurgles, screeching lunges, and hooty sighs. Melody is vaguely discern­ible, but pitch is nonexistent. The crux of the film is whether St. Clair should allow Florence to maintain her innocent faith in her talents. For years he has kept a lid on the truth. Her sporadic performances were always in safe spaces: salons attended by her friends or the occasional recital at the Ritz-Carlton where the guest list could be tightly controlled and the critics bribed. But over the course of the film, set in 1944 in the thick of World War II, Florence’s ambitions grow, and she first records a vanity 78 disc and then buys out Carnegie Hall for a full-blown one-woman recital. The concert sells out, thanks in part to Florence’s donation of a thousand tickets to servicemen. St. Clair will no longer be able to keep the press and the general public away and now faces a choice between protecting his wife from ridicule and quashing her naive dreams. In this dilemma he is joined by Florence’s accompanist, young Cosmé McMoon, an ambitious classical pianist who is at first giddily amused by his patroness’s horrific vocalizing and then increasingly alarmed as he realizes that the public will associate his own talent and ambitions with her dire dilettantism. Florence Foster Jenkins is essentially a one-joke film, but it’s a fairly funny joke, and Streep keeps the gag fresh with an ever-varying repertory of hilarious facial expressions whenever Florence launches into song. She really acts each vocal lunge and leap, painting a visual narrative of desperate searching and nonplussed discovery as Florence winds her way through an aria. The first scene in which we hear her sing is delicious. Carlo Edwards (a real-life music director from the Metropolitan Opera, here played by David Haig as charmingly obsequi­ous) joins St. Clair and Cosmé for a coaching session at Florence’s suite. Cosmé plays the introduction, Florence opens her mouth, the cinema audience holds its collective breath—and then she stops short, asking to begin again with a quicker tempo. The delayed launch of the joke is a hilarious acknowledgement of the audience’s foreknowledge of the musical travesty that is to come. And once it comes, Cosmé’s discreetly horrified reactions are priceless. The film soft-pedals any questions about the ethics of vanity performance by the rich and asks us to appreciate Jenkins as a true artist in her own, unique way—or at least as a woman who loved art so much that her lack of talent can be benevolently forgiven. Screenwriter Nicholas Martin makes it very clear that Florence truly understands and loves music; she is no society phony. The film also asserts a straightforward connection between support for the arts and the survival of civilization. The first scenes depict a dinner held by the Verdi Club, an amateur performance group founded by Florence, which produces elaborate tableaux vivants (we see our heroine in full Valkyrie regalia but fortunately do not hear her attempt a “Hohotojo!”). There is something touching and even a bit noble about these wealthy geriatrics enthusiastically applauding each other’s gallant, inept dramatics. They have no cynicism, no postmodern suspicion of establishment culture. They truly believe, as Florence indicates in a brief speech, that art, beauty and music are the very reasons that the war is being fought (never mind that the Nazis might have said the exact same thing). The promotion for the film takes this idea even further, implying that, in the depths of war malaise, Jenkins “lifted the nation’s spirits”—a dubious claim, despite the film’s depiction of the grand time the tipsy soldiers have at her performance. Frears has cast his film well. Hugh Grant, who has been mostly absent from the screen for the past decade, returns in wonderful, if dilapi­dated, form. His performance mostly avoids his familiar stammering mannerisms and audience-courting cuteness. Instead, he nicely conveys a man who has found his rightful place in the world, who fiercely loves Florence (just not in that way), and who works hard to prevent regret or negativity from dragging him down. As the hapless Cosmé, Simon Helberg absconds with every scene he is in. He brings weirdly delicate, eccentrically jumpy shadings to each giggly line reading and alarmed reaction. His decision to support Florence in her performance at Carnegie Hall is the most direct statement of the film’s implied, and somewhat questionable, moral that loyalty and good intentions matter more than artistic standards. The brilliant theater actress Nina Arianda, in a criminally underwritten role, plays a gum-chewing arriviste wife of a rich businessman who at first finds Jenkins ludicrous but later comes to appreciate her commitment. The film has much going for it but, ultimately, lacks the spark of real life. It feels too controlled, too written. There is no surprise, no sharp edge, nothing to discomfort its intended audience. For all its accomplished charms and its showcasing of Streep’s endearingly wacky colors, the film is completely predictable. It is quintessential middlebrow art, tipping its hat to high culture, but requiring no more investment than an average episode of Masterpiece Theatre. Don’t get me wrong: I love a lot of middlebrow art. It’s just that there’s something rather dispiriting about the fact that an actress of Streep’s skills has spent the last decade doing nothing but. The great tragedian of the 1980s has become a comfy old dear. Streep has been at the top for so long that it’s difficult to remember the sensation she made with her first big films thirty-five years ago. Her work in The Deer Hunter, Manhattan, The Seduction of Joe Tynan, Kramer vs. Kramer, The French Lieutenant’s Woman, and especially Sophie’s Choice catapulted her to fame as a new kind of American film actress. Before Streep, the gold standard was Jane Fonda, who had dominated the 1970s with a series of intense, driven portraits of formidably intelligent women discovering their own agency. Fonda was an electric screen presence, but never a rangy actress. One could not imagine her tackling a difficult accent, or convincing in a period piece. Streep’s revolution was the melding of a set of technical skills usually associated with the great British actors and a quintessentially American “Method” approach to her roles, a full emotional immersion. Her performances fused the fraught chaos of real life and the control of art. The classic British acting hallmark is a fascinating distance between actor and role, an intellectualizing that derives from the legacy of linguistic complexity in British playwriting. European actors, in general, are more comfortable with heightened language, as well as diverse period styles, than their American counterparts. 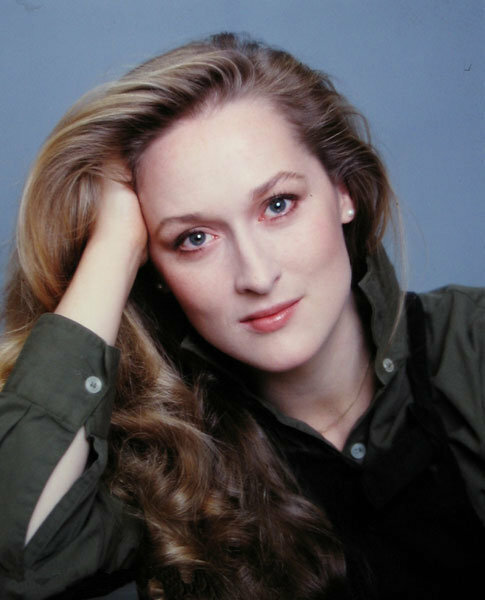 Streep, in her early prime, had it all: a glorious unpredictability, a flawless technique, total facility with any kind of linguistic style, an intellectualized approach, and a deep, personal subsumption in every role. There is a moment at the end of The French Lieutenant’s Woman when her character is physically assaulted by her lover, and she responds with an unexpected, cryptic, bitter laugh. My friends and I spent hours dissecting that moment, thrilled by its brazen audacity. It felt improvised and yet, in retrospect, made perfect sense in a dozen contradictory ways. Streep single-handedly redeemed the potentially offensive anti-feminist depiction of the ex-wife in Kramer (her first Oscar) by imbuing the character with rich pathos and a complexity lacking in the script. When she takes the witness stand in the custody hearings, her emotionally drenched testimony almost forces you to turn away from the screen, so personal and felt does it seem. And then came Sophie’s Choice, in which her performance as a Holocaust survivor seemed to take film acting to a new, previously unimagined level. And Sophie was only the first in a series of uncompromising performances in equally serious films: Silkwood, Plenty, Out of Africa, Ironweed, A Cry in the Dark. This was also the era of the great Streep accents. Millennials may not remember that, at one time, any mention of Meryl Streep automatically summoned a discussion of her extraordinary facility with dialects, although this recognition did tend to reduce her art to its technical components. Yes, Streep’s Sophie speaks with a flawless Polish accent, but the immortality of that performance lies in her willingness to descend into the darkest mineshafts of human experience and to convey the results with discipline and clarity thanks to her exemplary control. Of course plenty of American actresses have this ability to go deep, but most lack the technical skills to play a wide range of genres, styles and eras. Jessica Lange, Julianne Moore, Viola Davis, Michelle Williams, and many more have immense talent, but none match Streep’s combination of skill and daring. After the triumphant series of somber roles in the 1980s, Streep seemed to tire of her image as the queen of tragedy, and the 1990s saw a series of comedies of varying quality: She-Devil, Postcards from the Edge, Defending Your Life, Death Becomes Her. There followed a series of misfires in which she gave accomplished performances in unmemorable films like The River Wild, Before and After, One True Thing, Music of the Heart, and the flawed stage adaptations Marvin’s Room and Dancing at Lughnasa. Came the millennium, and Streep gravitated to newly interesting supporting performances in quirkier films like Adaptation, The Hours, The Manchurian Candidate, and Prairie Home Companion. And finally, the most recent phase of her career has seen her surprising emersion as a box office draw, thanks to a series of acclaimed performances in undemanding, popular hits like The Devil Wears Prada, Mamma Mia!, Julie and Julia, and Into the Woods. Four years ago, she won her long-awaited third Oscar for her uncanny impression of Margaret Thatcher in The Iron Lady. There is always something to love in a Streep performance. Even in a movie as dreadful as Mamma Mia!, she has moments that electrify. When the daughter of Streep’s character asks her mother to give her away at her upcoming wedding, the camera holds on Streep’s face, and, in a breathtaking three-second flash, the actress registers at least a dozen conflicting emotions: surprise, regret, happiness, annoyance, jealousy, love, concern, pride. You can watch the clip over and over and never fail to be astonished. This layering of emotions is a hallmark of Streep’s approach. She is masterful at allowing conflicting subtexts to filter up and color the text: fleeting sorrow within joy or apprehension within triumph. Like many great actors, she always looks like she has a secret. The late film critic Gene Siskel once interviewed Streep on the subject of Bridges of Madison County, pointing out a scene in which her character, having just flirted with Clint Eastwood’s drifter, walks away from the camera and puts her hand suggestively on her backside. Siskel posited that Streep was emphasizing her character’s newly awakened feelings of sexual attractiveness, but Streep countered that, in fact, she was playing her character’s awkward attempt to cover up what she felt was a too-ample rear end. This anecdote points to Streep’s meticulous attention to physical behavior and also her ability to find the human complexity in any moment. Siskel’s interpretation of the scene was straightforward. Streep found the subtext, the vulnerable self-consciousness within the flirtation. Like every great performer, she has her mannerisms, her tricks, her tics. Streep’s gift is not so much that these characteristics are inherently fascinating, the way they are with a big “movie star” actress like Bette Davis or, today, Cate Blanchett. Instead, her intrinsic characteristics are remarkably malleable, able to convey many different kinds of feelings and ideas, prodigiously expressive. Still, her most recent performances all have something of the stunt about them (She sings! She cooks! She wears a fat suit!). In the cases where she is playing a real-life person, we marvel at the flawless vocal and physical impersonation, as well as the capturing of an inner essence: Julia Child’s effervescence, Thatcher’s anger. But when Streep makes the odd foray into more serious fare these days, something seems off. Despite expert moments, there is more than a whiff of ham. It’s possible that her directors—awed by the Streep mystique—are giving her too long a leash. John Patrick Shanley’s misguided cinematic adaptation of his brilliant play Doubt presented Streep as a gothic parody of a strict nun, a misstep that I blame mainly on Shanley’s over-the-top direction. Similarly, Streep’s work in the film August, Osage County felt misjudged, as if she could not square the overblown intensity of the role with the intimacy of the camera. These late-career portrayals are generally of tough, dominating personalities, all far cries from the fragile, emotionally transparent roles of her early career. It’s possible that Streep’s feminist political leanings have made her leery of playing roles that might be seen as victims. It may also be that, as Streep has aged, she has either become less interested, or receives fewer offers, to play roles that display deep physical and emotional vulnerability. American film has always been uneasy with the physicality of older women. Europe has an ongoing tradition of such films, and the careers of Charlotte Rampling, Helen Mirren, Carmen Maura, and especially Isabelle Huppert are wonderful examples of brilliant actresses who keep making incredibly challenging, intense films that explore postmenopausal sexuality and the corporeal reality of the aging female body. But in America, older actresses typically either disappear from the screen or play sexless, quirky character types. Much has been written about the diminishing opportunities for aging actresses in the American film business. But Streep alone, among her peers, seems not to have lost working momentum as she has grown older. Her presence can green-light most moderately-budgeted films, so it seems possible that she could take on more ambitious fare than the middlebrow films she now acts in. Why is Our Greatest Actress, who has proven herself fully capable of high tragedy, not playing the modern filmic equivalents of titanic stage roles like Lady Macbeth, Medea, Hedda Gabler, and Mother Courage (which she played in an extremely rare stage appearance in 2006)? None of these roles could be described as fragile or anti-feminist. Did she burn out after the 1980s, losing the will to pay the physical and psychic price those roles demand? It’s true that Hollywood rarely makes big, literary, serious works any­more. In America, television has co-opted such fare. The roles of Shakespearean depth and tragic grandeur now reside on HBO, Showtime and AMC: Tony Soprano, Carrie Mathison in Homeland, Walter White in Breaking Bad, Don Draper in Mad Men. Would Streep see a rich, juicy television role as a step down from film? Or would the time commitment that series television requires not interest her at this stage of her career? In any case, it is a shame that she stays committed to the kind of films that feel so pale next to the great modern television dramas. Florence Foster Jenkins is a perfect example of the kind of unchallenging movie that feels like it is wasting Streep’s formidable gifts. The film might have pointedly interrogated the ties between patronage and high culture. Do the arts compromise themselves when they allow rich benefactors to influence what gets performed and who gets to perform it? Should we be outraged at Florence’s assertion that she belongs at Carnegie Hall? It’s not just that she doesn’t have talent; she also doesn’t have training or experience. She seems to feel that her wealth allows her to skip the bush leagues. There is something deeply unpleasant about Florence’s and St. Clair’s presumption which the film refuses to examine. Both play with the seduction of faux friendliness in order to get their way—a very real phenomenon in the world of artists and rich people. But Frears and Streep seem afraid of offending their audience. They just want to make us love this daffy, dowdy woman, who lives for art, as well as her louche but loving husband. The film might also have tried to challenge our understanding of what exactly constitutes great art. There has arisen, long after Florence’s heyday, a fringe movement of outsider artists who deliberately subvert traditional notions of “good” or “correct” and explore the beauty or at least the expressiveness of the off-key note, the stilted line delivery, the clumsy step. What, the film might have asked, IS good art? How and why do we define it? Many cutting-edge film directors play with deliberately mis-framed shots, melodramatic dramaturgy and home movie aesthetics in attempts to push the boundaries of the form. But like Streep, Frears long ago stepped away from this kind of experimentation; he came out of the gate with punk-tinged edgy films like My Beautiful Launderette but has lately specialized in cozy dramas like The Queen and Philomena. There are plenty of examples of mid- and late-career artists who have embraced the challenge of remaining artistically vital, who have not shied away from difficult, demanding, even tragic subject matter, who reject eazy, middlebrow fare. It’s not too late for Streep to shake loose the cobwebs, to make a film that doesn’t feel like it is pandering to the same old ladies who applauded Florence Foster Jenkins at her dreadful yet non-threatening recitals. Why not throw herself into the hands of one of the daunting European directors who live to disturb their viewers and who also explore the complexities of the aging female body, like Michael Haneke, Mike Leigh, Claire Denis or Lars von Trier. How exciting it would be to see an actress with Streep’s massive, unequalled skill set pushed out of her comfort zone. Arts Review from the Autumn 2016 issue.